GELSENKIRCHEN (Germany), 06 October 2016 - The moment we have all been waiting for is finally here! 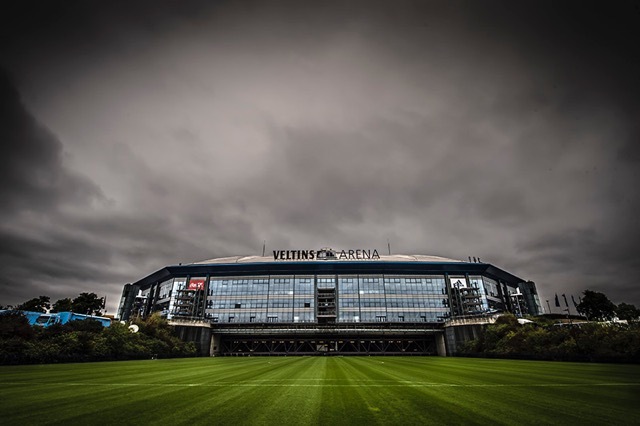 The first ever Monster Energy SMX Riders’ and Manufacturers’ Cup will be taking place inside the spectacular VELTINS-Arena, Gelsenkirchen, Germany THIS Saturday night. It has been a while since the world has been able to witness a race that pins the best of Europe against the best of the USA, let alone indoors on a unique style motocross track. This special event is an invitation only race where the manufacturers’ KTM, Husqvarna, Honda, Suzuki, Yamaha, and Kawasaki have selected 3 of their fastest riders from absolutely anywhere in the world, to race for the glory of their brand. 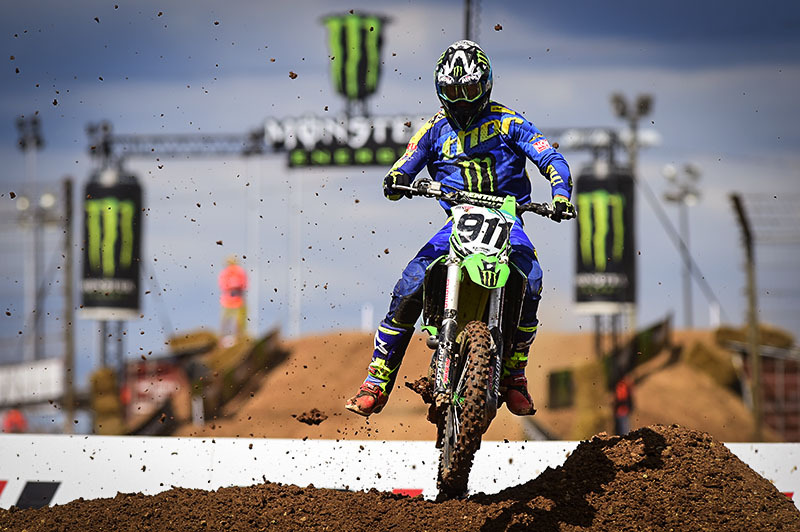 The team that wins the Monster Energy SMX Manufacturers’ Cup will be able to take the trophy that was presented at the Monster Energy FIM Motocross of Nations presented by FIAT Professional in Maggiora, for twelve months only. The design of the trophy resembles the event in every facet of its creation. It’s prestigious, it’s modern and it’s unique, just like the event itself. The trophy will be much like the coveted Chamberlain Cup, in the sense that it cannot be kept for longer than one year unless it is won consecutively. 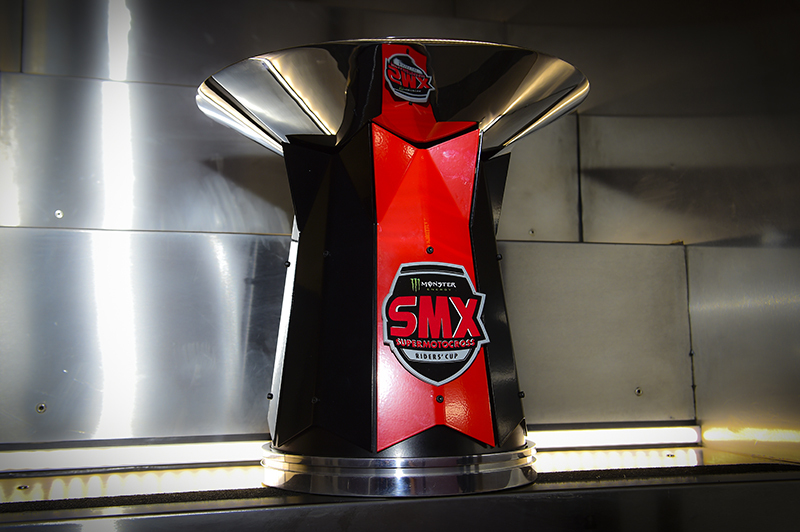 The innovative new concept has attracted the biggest names in motocross from Europe and in supercross from USA. 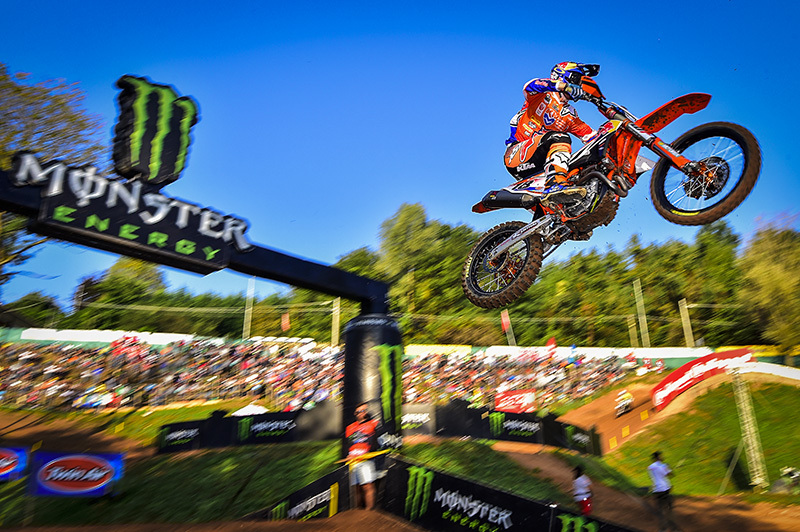 RYAN DUNGEY, the FIM Supercross World Champion will take on the MXGP and MX2 World Champions TIM GAJSER and JEFFREY HERLINGS for the first time this year. He will also be racing the former MXGP World Champion ROMAIN FEBVRE, and the former MX2 World Champions MARVIN MUSQUIN and JORDI TIXIER. Fellow American’s ZACH OSBORNE and JAKE WEIMER have also jumped the ditch in attempt to make history as the first ever Monster Energy SMX Riders’ Cup winner. There is a lot to look forward to, so without further ado, here is a little preview of the teams. Looking past KTM’s line-up is not an option. Ryan Dungey is one of the greatest of all time in supercross. 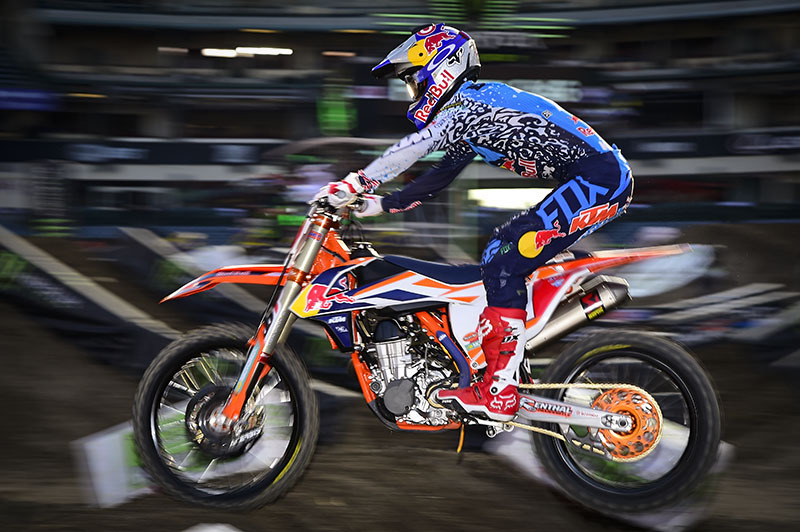 Marvin Musquin won back-to-back titles in the FIM Motocross World Championship before jumping the ditch to flaunt his insane dirt bike skills Stateside where he added a supercross title to his resume. And last but not least, Jeffrey Herlings, the greatest MX2 rider of all time with three MX2 world titles, and sixty-one grand prix wins. Between those three riders, they have four MX2 world titles, one AMA Motocross Lites title, three AMA Supercross 450 titles, three AMA Motocross 450 titles, two AMA Supercross 250 titles and four wins at the Monster Energy FIM Motocross of Nations. 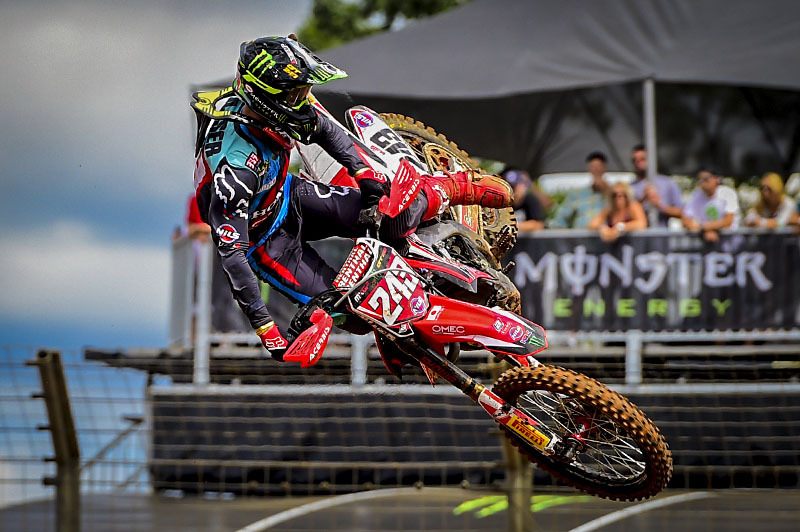 Obviously the 2016 MXGP World Champion Tim Gajser is one of the most anticipated entries as one of the most stylish and talented riders in the world. Tim has had an incredible year with mind-blowing results and it’s going to be epic to see him face off against the likes of Dungey and Herlings for the first time this year. Tim has also confirmed that he will be racing the all-new 2017 CRF450RW. 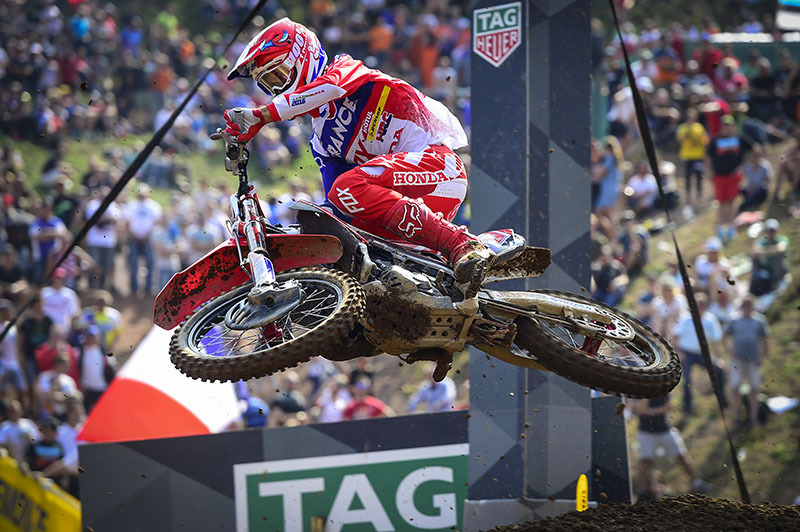 Gautier Paulin will be coming in fresh off of his third consecutive MXoN title. He is also no stranger to indoor racing as a rider that has done a couple of stints in the USA in the past, while it will be a bit more of a learning curve for Evgeny Bobryshev, but as one of the most determined riders in the world he’s bound to step up to the plate. 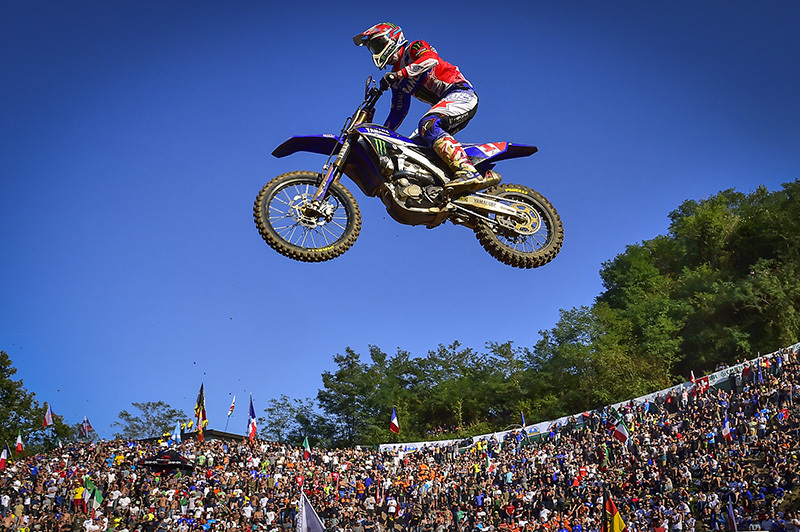 The 2015 MXGP World Champion Romain Febvre is another great talent to look out for. He has also proved to be very versatile, and this weekend that versatility will be put to the ultimate test. As for his teammates, Brent Van Doninck and Yannis Irsuti, they may have to graft their way through; although a smaller and tighter track could actually work in favor of the MX2 bikes. Husqvarna’s pair of Americans Zach Osborne and Thomas Covington should be pegged to shine on the man-made indoor circuit. 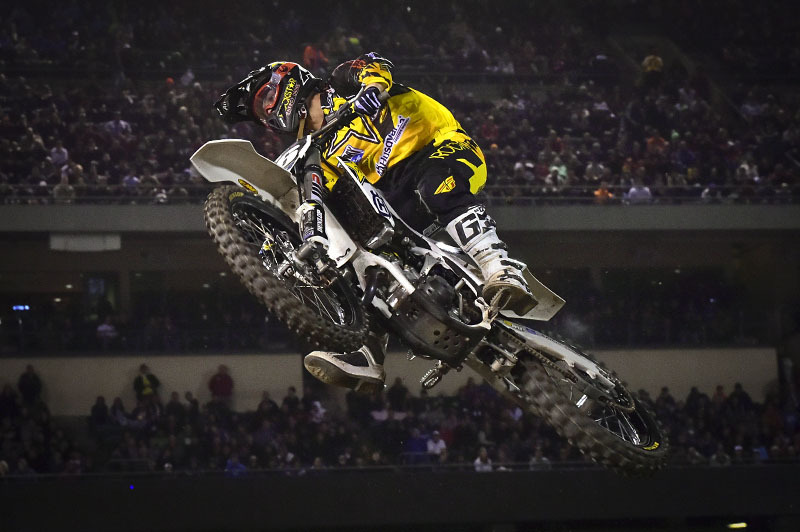 Osborne because he is one of the world’s best supercross riders in the lites class, while Covington could be a threat as a rider that excels on man-made tracks. Both riders will be on MX2 bikes this weekend which means they are in the running for the €10,000 payday if they finish the event as the best placed MX2 riders. 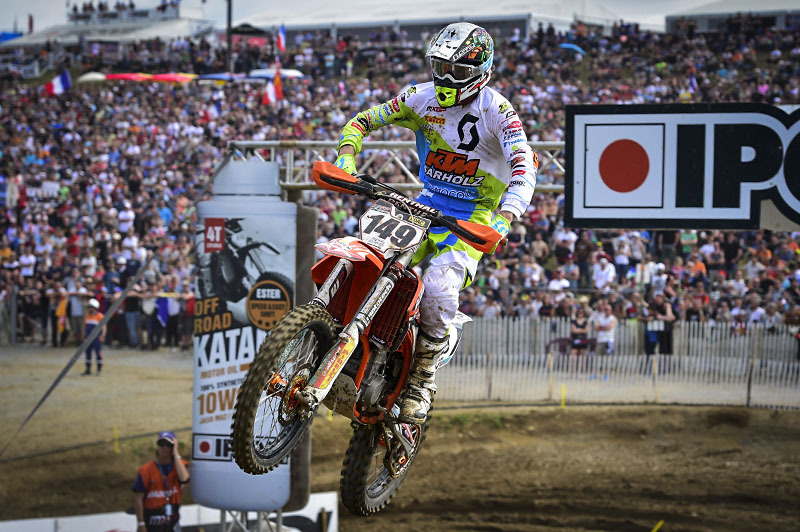 They will be joined by Christophe Charlier who will be returning for the first time since the MXGP of Belgium at the start of August where he injured his groin. When it comes to jumping, there are two riders who could surprise a lot of people. 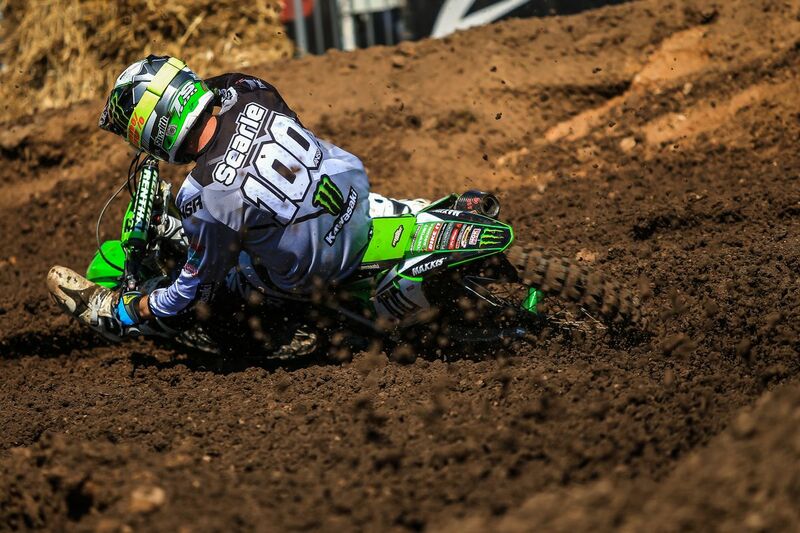 Tommy Searle is always seen getting sideways on jumps, his style is amazing and is bound to have a heap of fun out here. Jordi Tixier has also made some appearances indoors in the past and should be fast. As for Vsevelod Brylyakov, the Russian just loves riding dirt bikes in general and indoor track will be paradise for him. Ullrich is the only German on the line this Saturday, and will be able to feed off of the energy his home crowd put forth. 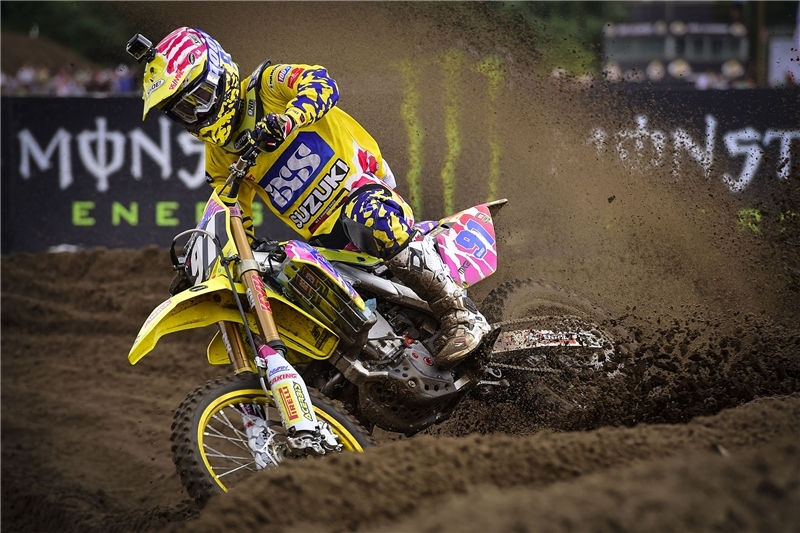 - Each manufacturer, KTM, Honda, Husqvarna, Yamaha, Kawasaki, and Suzuki will have a team of four riders. Three main riders and one ‘Joker’. The Joker can replace any rider on the team at any time. - The riders can ride any bike they want between 245cc to 450cc, regardless of their age. It also doesn’t matter if the engine is 4-stroke or 2-stroke. - Each team will have ONE team captain, and that rider will race the ‘Superpole’. - The Superpole, which defines the position on the starting grid is a 2-Lap sprint. Only six riders enter, one from each brand. - Three main races will be raced. There will be three riders per team. The team with the lowest score at the end of the event will win. - The riders and manufacturers points system is like: one point for 1st, two points for 2nd, three points for 3rd etc. - There will be nine scores from each team on the board. The seven best scores are counted. The worst two results are dropped. - In addition to the main events, there will be two junior classes in the form of the SMX125cc and a YZ125 Cup which is an invitational race for Yamaha riders, arranged by Yamaha and the national federations across Europe.